Simply perfect with a touch of drama! 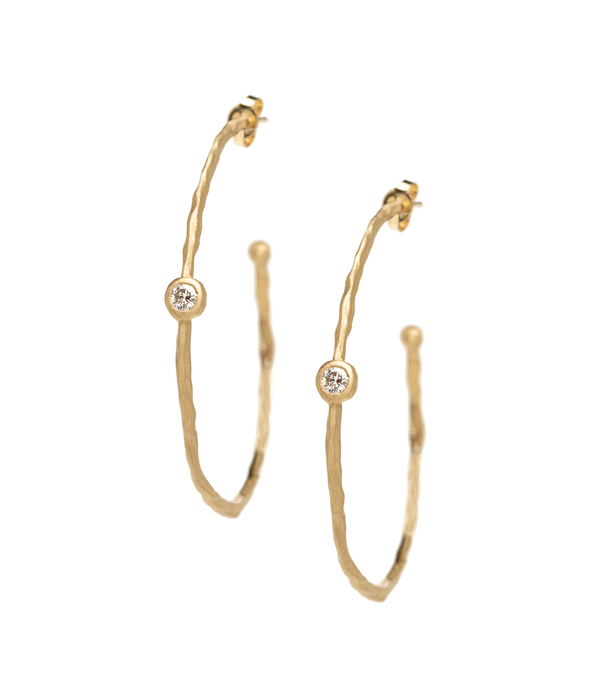 These large textured gold hoop earrings feature sparkling champagne rose cut diamonds set in bezels (0.20 cttw). Post backs.